We’re posting this special episode of Stuff You Need For a bit early since this month is Bike To Work Month and we wanted to give you plenty of time to get ready for Bike To Work Day on May 15th! Joining me this episode is Jason Ramsay, a fellow software developer and former bike commute partner of mine from when we worked together at Microsoft. Jason and I discuss the minimum you need to start commuting (a bike and a helmet!) 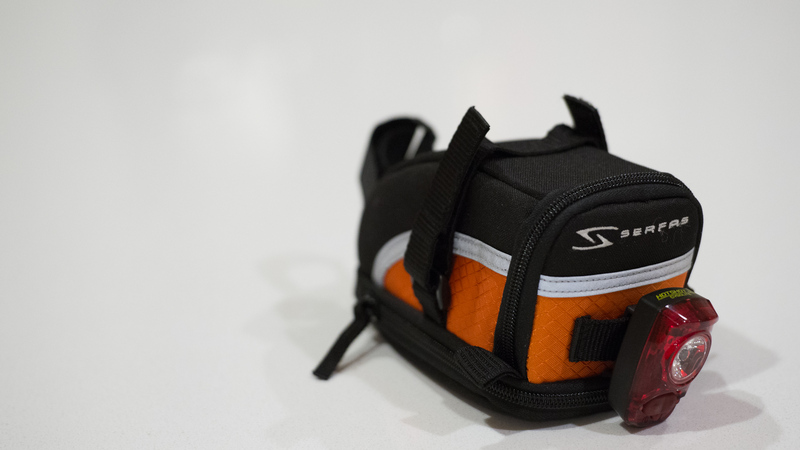 along with the rest of the gear you’ll need to keep commuting year round. A special thanks to Jason for helping make this episode our best yet! If you’re looking to commute to work on a bicycle for the first time, or want to add some useful items to your commute kit, watch or listen to the episode and then check out the following links! First off, if you already have a bicycle, and are just trying bike commuting for the first time, go with what you already have! If not, you’re going to need to find one. It’s very important to get find a bike that fits your body comfortably and will cover your commute in all the conditions you plan on taking it. If you’re just starting out, you may not know exactly what you want, or how committed you might be to biking in the long run which is totally normal. In that case, a great way to start out is to buy used from a reputable dealer or bike club in your area. That way, once you’ve been riding for a while and know what you’re looking for, you’ll be able to sell the bike again at close to what you got it for. If you end up buying off Craigslist, just be careful – meet in a public location or in front of a local police station, and make sure the person seems familiar with the bike. Bike theft is alarmingly common in many US cities and it’d be a shame to support someone who might ultimately try to steal your new bike back! An alternative to buying used is to rent a bike from a local shop – many will have a couple different styles to choose from. Once you’re ready to buy, make sure you try a number of options in person at your local bike shop rather than buying online. Fit is so, so important, and finding a bike shop and salesperson who will take the time to find one that’s right for you, and is willing to work the bike to dial it in just right (by, for example, swapping the handlebar stem for one longer or shorter as needed) is essential. When choosing a bike, you’ll want to decide whether you’ll want to be able to ride in the rain or on wet roads. If you do, you’ll need to accommodate that with a bike that has fenders to keep yourself dry against the dirty water your tires will otherwise kick up, and you may want to opt for a bike with fatter tires and disc breaks for better traction and stopping power. Typically, you’ll be looking for what’s called a “light touring bike” with a steel frame. 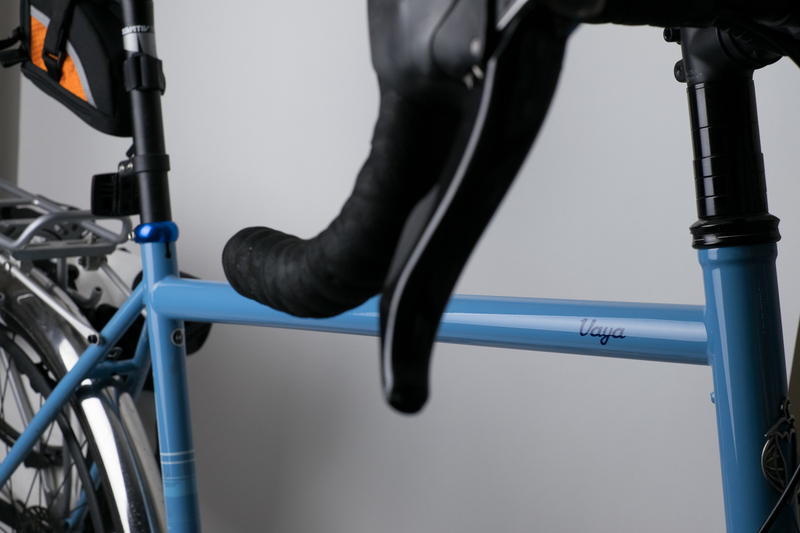 A great option if you’re committed to year round commuting is the Salsa Vaya 2. It’s a bit pricey, but think of all the gas you’ll be saving (not to mention repairs and other automotive maintenance)! Look for one at a bike shop specializing in commute or steel frame bikes. Your shop should be able to install a rack and fenders of your choice (I based mine purely on price and style) at the time of purchase. If you’re a bit more sane than I am, and plan on riding exclusively in fair weather, you can opt for a cheaper, lighter and more efficient ride. For dry roads, I recommend the Specialized Secteur line. Based on the Specialized Roubaix line of carbon fiber long-distance road bikes, the Secteur, and the Dolce, its women’s equivalent, are sport road bikes with the more comfortable upright posture of the Roubaix line, but made with aluminum frames. Aluminum vibrates slightly more than carbon fiber but has two big benefits. First off, it’s cheaper. Secondly, carbon fiber frames are to fragile to support bike racks, but the aluminum Secteur line has rack mounts built in allowing you to install a rack so you can carry a bag on the frame rather than a backpack if you need to bring a change of clothes, a laptop or other items with you on your commute. Specialized is a very common brand, and you should be able to find a bike shop that carries them without too much trouble. Just a quick word on “hybrid” bikes – don’t get one. They’re great at not doing anything well, but other than that, you’re much better off committing to a bike designed for the style of riding you’ll be doing. The price of a helmet can vary widely, and is largely based on styling, weight and ventilation. The differences are minor, so if you don’t care about style, just pick one up at Costco, Target or another department store. If you do care about styling, there are some neat looking models from Specialized or Nutcase. You’re ready for your first ride! Just make sure you’re back before the sun gets low in the sky. Otherwise you’ll need some lights to make sure you’re visible to drivers. If you run into trouble, there’s always Uber, Lyft or getting help from a friend or other cyclist. If so, and you’re planning on trying to commute regularly, you’ll need a few more items, like lights to see and be seen on cloudy days and as the sun starts to set, as well as a spare tube and tools for changing it if you end up with a flat. I maintain an Amazon list of the items I recommend to commuters here . As usual, products purchased from Amazon links on this site generate a small amount of referral income for us. Finally, there are a few other items we mentioned in the show or might be useful to pick up. TiGr Locks are expensive but lightweight and fit conveniently along your top bar. 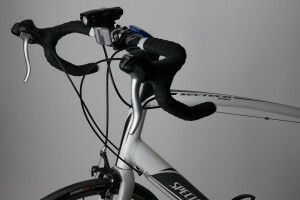 A U-lock with a cable to secure both wheels will also work. Clothing wise, I recommend quick drying nylon pants for wet weather and a lightweight rain jacket with ventilation zippers like the Outdoor Research Helium HD in women’s or men’s. Just tuck your hood inside the jacket so it doesn’t flap around as you ride. If you have a longer ride and are looking for padded bike shorts, the Performance Bike Ultra Shorts (women’s) are high quality and reasonably priced (believe me, cheaper models with poorly sewn in padding and chafing problems can be worse than no shorts at all). That’s it – if you have any tips, share them in the comments. Ride safe and have fun! © 2019 Stuff You Need For. Theme by XtremelySocial and Blacktie.